L.A. RECORD alum (several times over) Lars Finberg has put out many (and many different!) records so far, but last week’s Moonlight Over Bakersfield—released Dec. 1 on In The Red—is his first under the actual name Lars Finberg. Produced by Ty Segall with a few features from friends—like La Luz’ Shana Cleveland on guitar on this song—Moonlight is a slightly fractured post-punk-pop self-portrait that’d fit nicely (but not too neatly) between Swell Maps, Prag Vec and the many high points in Finberg’s own deep and daring discography. 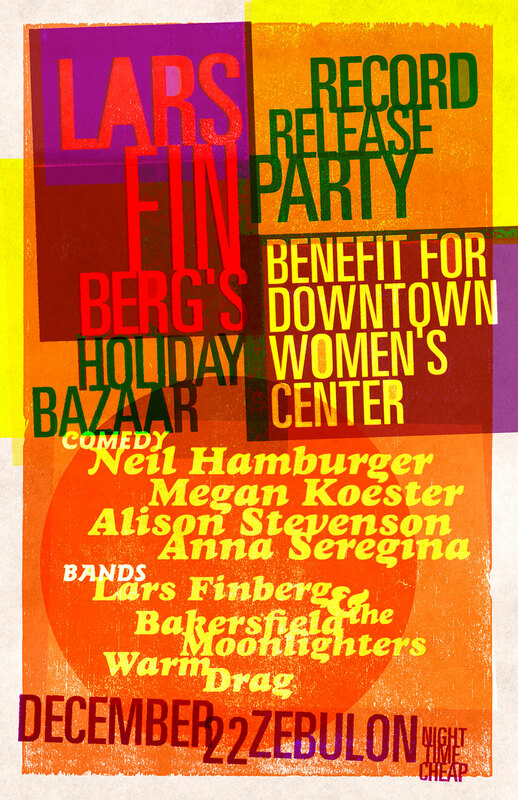 The record release show for Finberg’s Moon Over Bakersfield—Fri., Dec. 22, at Zebulon!—is also a benefit for the Downtown Women’s Center, and features openers Warm Drag, the magnificent Neil Hamburger, the unstoppable Megan Koester and more. Get tickets here!